We develop unique theme, formats and structures for companies to bring focus to their message. Why is ART JAM ® Teams so effective? Positive, productive and relaxed environments are vital to open expression. 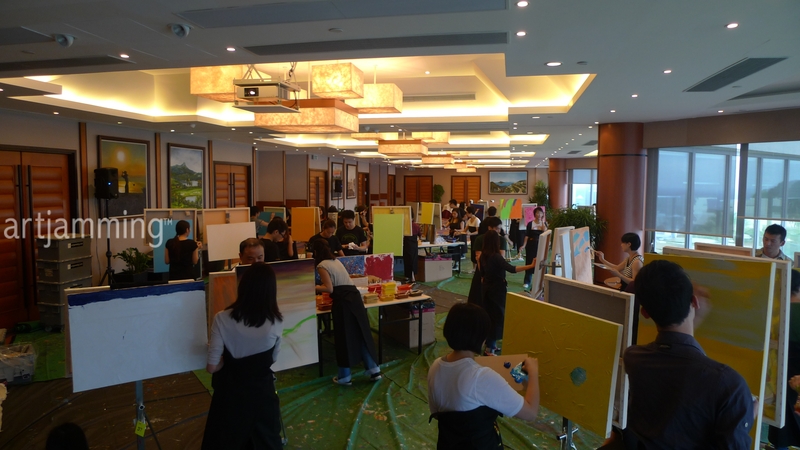 In the ART JAM ® world, everything is specially designed so that painting is very nearly effortless. Our competitive edge is our “feel the flow”approach, a principle that makes us sensitive to the mind-set, the language and the emotions that best trigger pure creativity. For teams, we have a “ONE-painter-on-ONE-canvas” formula for success. This is our winning creative solution for companies striving for 100% team commitment, high creative output and positively charged results. Let us dream up something special to challenge your team. 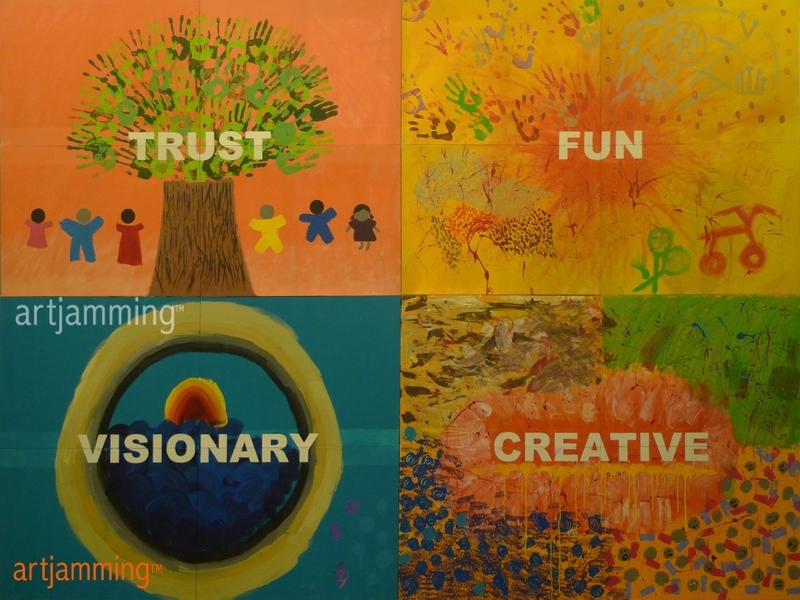 We have a long list of examples from past team building projects to fire up some ideas for your company. Come talk to us about what you are hoping for and we’ll put our extensive experience to build you a meaningful experience, that they won’t stop talking about. 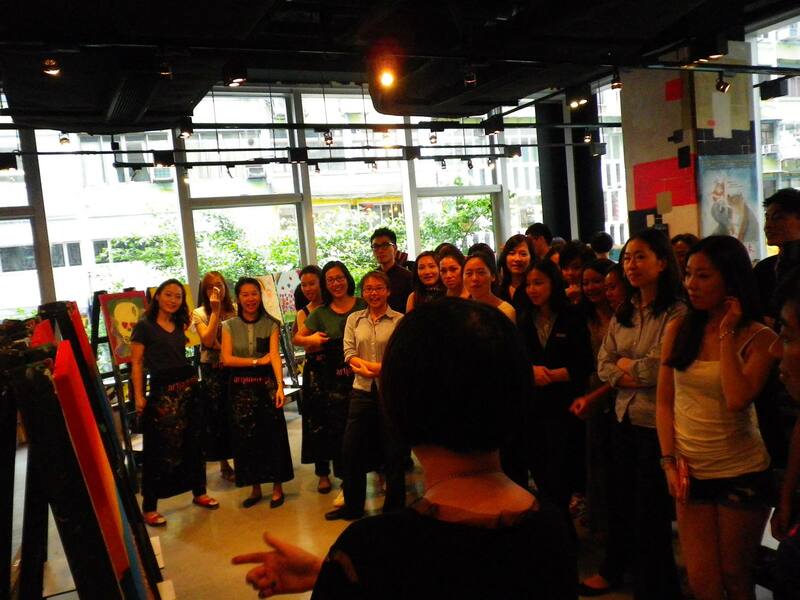 ART JAM ® Voyage at CWBGCC for International fashion brand and 380 staff, held over 4 sessions.